35 + fun activities with home science and kitchen chemistry. 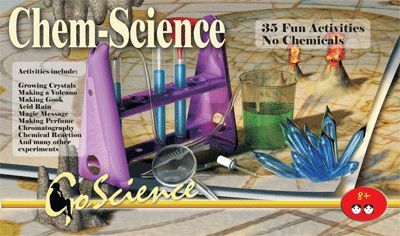 Investigate with safe and simple materials - discover basic scientific laws and phenomena. Grow crystals; create a volcano; separate pigments; make your own gook, glue, perfume and plastic; split up water; learn about pH, colloids and emulsions; write magic messages; see gases expand and more!